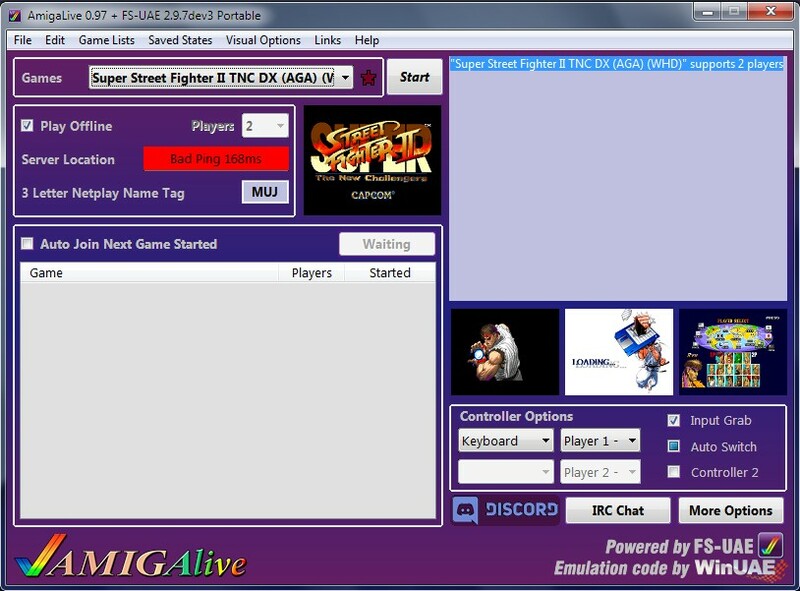 AmigaLive è un'applicazione che utilizza FS-UAE con la Netplay, offrendo la possibilità per i giocatori di giocare con i vecchi classici giochi Amiga con altri giocatori da tutto il mondo, tutto questo come se si utilizzasse lo stesso computer Amiga. AmigaLive + Multipiattaforma gira su Windows, Linux e MAC, non ha bisogno di kickStart o altre applicazioni basta un click per giocare con i titoli tisponibili. Added: Ability to select and share saved states. Enhancement: Various code improvements for stability and compatibility. Enhancement: Joysticks search is now compatible with all platforms. Fixed: Linux Saved States cleanup for compatibility and less desyncs. Fixed: NilObjectException when closing AmigaLive before initialize was complete. Fixed: Host may be terminated due to asynchronous launch (keeping synchronous). Fixed: Mac/Linux Starting as Host now checks port TIME_WAIT state. Change: Windows XP Pro and above now use WMIC process for stopping host server. Replaced: Images for nil screenshots (blur-image with 1084s monitor+kickstart-image). Reduced: Synchronous Games on each server from 10 to 6, for faster game search results.